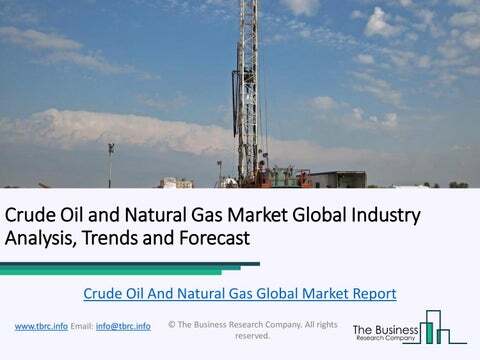 • The crude oil and natural gas extraction industry comprises establishments engaged in crude petroleum and natural gas extraction and natural gas liquid extraction. • The global crude oil and natural gas market was valued at around $2.5 trillion in 2017. Asia Pacific was the largest region in the crude oil & natural gas market in 2017, accounting for nearly 35% market share. The USA was the largest country in the market in 2017, accounting for nearly 20% market share. • The countries covered are USA, China, Germany, Brazil, Japan, UK, Spain, Russia, France, Australia, Italy, India and rest of the world.